USA: Increased levels of background parenchymal enhancement (BPE) on breast MRI is associated with an increased risk of future invasive breast cancer independent of the breast density, according to a new study published in the Journal of Clinical Oncology. Vignesh A. Arasu, Kaiser Permanente Medical Center, Vallejo, CA, and colleagues conducted the study to evaluate comparative associations of breast magnetic resonance imaging BPE and mammographic breast density with subsequent risk of breast cancer. 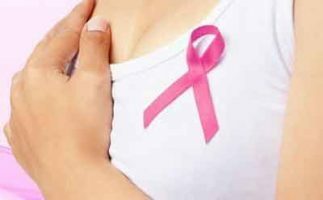 The combination of elevated BPE and dense breast tissue increases a woman’s overall risk for breast cancer more than either factor on its own, write the authors. The study included 4,247 women undergoing breast MRI in facilities participating in the Breast Cancer Surveillance Consortium (BCSC) from 2005 to 2015. The women’s BPE was assessed at the time of interpretation of the breast MRI exam. The team used mammography results performed within five years of the MRI scans to assess the women’s breast tissue density and risk factors. The group estimated hazard ratios for breast cancer using a BCSC model. Among the 4,247 women included, 176 developed breast cancer over a median follow-up period of 2.8 years. Of these cancers, 129 were invasive (73%) and 47 were ductal carcinoma in situ (27%). More women with cancer had mild, moderate, or marked BPE than women without cancer (80% v 66%, respectively). Compared with minimal BPE, increasing BPE levels were associated with significantly increased cancer risk. Compared with women with minimal BPE and almost entirely fatty or scattered fibroglandular breast density, women with mild, moderate, or marked BPE demonstrated elevated cancer risk if they had almost entirely fatty or scattered fibroglandular breast density or heterogeneous or extremely dense breasts, with no significant interaction. Combined mild, moderate, and marked BPE demonstrated significantly increased risk of invasive cancer but not ductal carcinoma in situ.